The University of Montana abruptly closed McGill Hall on Thursday after tests showed too-high levels of asbestos in offices and a daycare center. Officials said tests will now be taken throughout the building, which will likely remain closed for an extended period. All classes, offices and other activities will be rescheduled in other campus buildings. Thursday’s evacuation and closure came two days after the Associated Students of UM Child Care Preschool closed following an initial set of test results from dust samples taken there. The daycare center’s 47 students were moved to new quarters at the College of Education on Tuesday morning. UM officials and an environmental contractor met with parents about those test results – which showed “unacceptable” levels of chrysotile and amosite in surface dust samples – on Thursday afternoon. They’ll meet with the larger campus community at noon Friday in the University Center Theater. Asbestos is known to cause lung cancer, mesothelioma, asbestosis and other lung diseases. The conditions can arise anywhere from 10 years to 40 years after exposure. McGill Hall was built in 1953, and many buildings and homes from that era contain asbestos in their insulation and flooring. Tests were ordered in the building after a worker found asbestos in an air system serving three offices on Dec. 12. Those rooms were evacuated and cleaned, and environmental tests were ordered. The test results released on Thursday showed both acceptable and unacceptable levels of asbestos in surface samples and atop a light fixture that is not routinely dusted. UM posted the full test results online. Here is the link to the results from the daycare center: http://news.umt.edu/2019/01/ASUM_childcare_Data.pdf. And the link to test results from elsewhere in the building: http://news.umt.edu/2019/01/McGill_Hall_testing.pdf. In an email to the campus on Thursday, Lasiter said: “We are expanding airborne and surface tests to analyze the entirety of McGill Hall. This will take several days to complete. At this time, all air quality tests in the building have indicated that the air is safe to breathe, but surface tests indicated the presence of asbestos in several locations. “In an abundance of caution and because the safety of our students, faculty and staff is our highest priority, we made the decision to close the facility. Employees were briefly allowed back into the building on Thursday afternoon to collect essential items, but were urged to leave as much in their offices as possible – so as not to spread contamination around the campus. 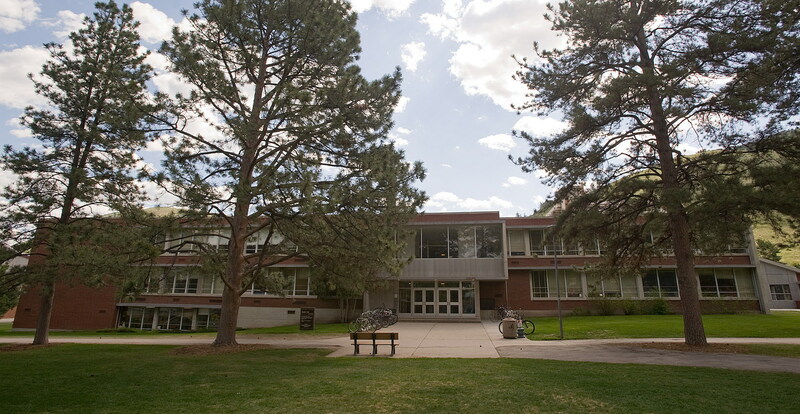 McGill Hall was remodeled in 2004, and an addition was added in 2009. In addition to the daycare center, McGill is home to UM’s Media Arts and Health and Human Performance departments, as well as other faculty offices and labs. UM spokeswoman Paula Short said the University will update campus and the public with more details as they become available. Information also is being posted online at http://bit.ly/2SgeMpz.